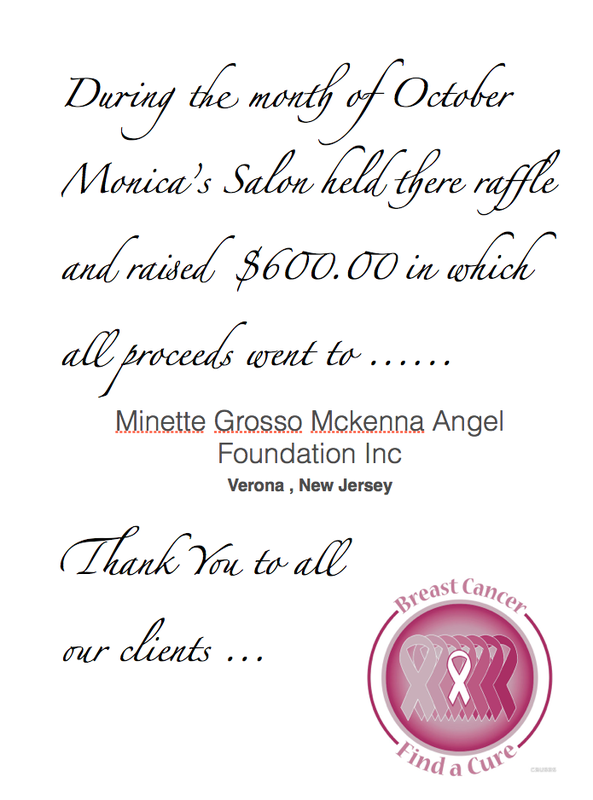 During the month of October, Monica’s Salon raised $600 in which all proceeds went to the Minette Grosso McKenna Angel Foundation in Verona, NJ. Thank you to all our clients! 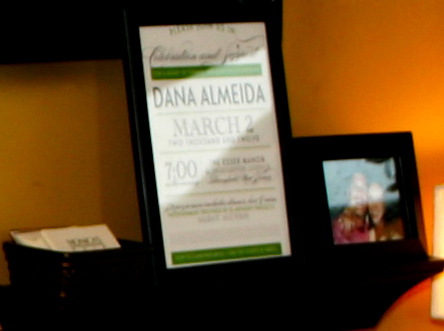 Monica’s helped support a fundraising event to celebrate the life of Dana Almeida, a Bloomfield resident recently diagnosed with Burkitt’s lymphoma. During the entire month of December we made donations to families in Bloomfield to help them buy Christmas gifts for their children. Many Thanks go to our very generous clientele who helped make all this possible! We all did the Relay for Life and raised over $700 for charity. Here at Monica’s, we raised $800 at a one-day cutathon on May 22. All proceeds were donated to the Minette Grosso McKenna Angel Foundation. Thanks you! Monica and her staff participated in the Susan Komen Breast Cancer walk in Branch Brook Park. With the help of our generous clients, we raised $1,300 for breast cancer research. Many thanks to everyone who supported us!